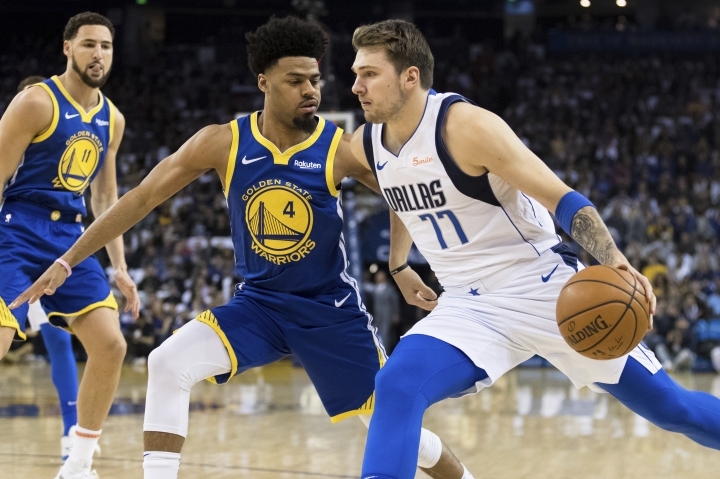 OAKLAND, Calif. — Luka Doncic had a triple-double, Dirk Nowitzki scored a season-best 21 points in a rare start and the Dallas Mavericks capitalized on Stephen Curry's absence to beat the Golden State Warriors 126-91 on Saturday night. 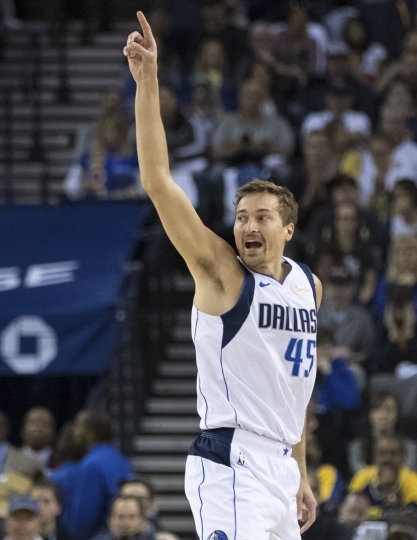 ATLANTA — Trae Young scored 32 points, including a last-second, go-ahead floater, as Atlanta ended Philadelphia's six-game winning streak. CHICAGO — Rudy Gobert had 21 points and 14 rebounds, and Utah rolled to one of its most lopsided wins of the season. MEMPHIS, Tenn. — Karl-Anthony Towns had 33 points and 23 rebounds, and Minnesota ended a five-game slide with a win over Memphis. WASHINGTON — Dwyane Wade scored 11 of his 20 points in the fourth quarter, helping Miami remain alone in eighth place in the Eastern Conference. CHARLOTTE, N.C. — Kemba Walker scored 18 of his game-high 36 points in the fourth quarter and the Charlotte rallied to beat Boston. PORTLAND, Ore. — Damian Lillard had 28 points, nine assists and six rebounds as Portland beat Detroit for its third straight win. SACRAMENTO, Calif. — Buddy Hield had 25 points and set the franchise season record for 3-pointers in Sacramento's win over Phoenix.